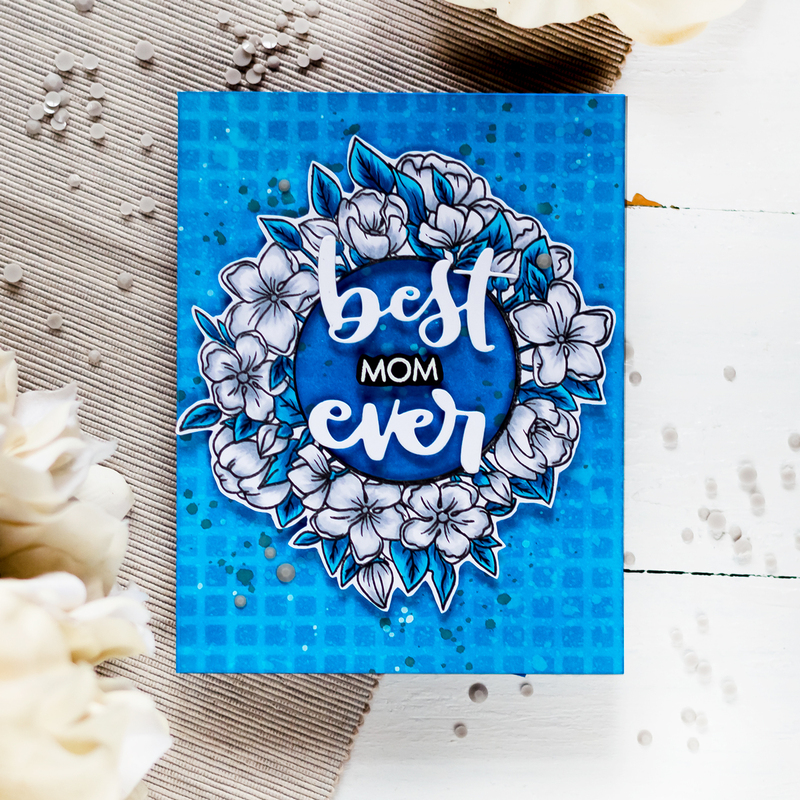 Finally I found some time to make a card using those supplies I have in my stamping inbox. I’m sure many of you have one. When I got new supplies delivered I tend not to put them where they’re belong, but instead I have an inbox where they’re corralled. Until I used them at least ones and then they can go in their forever home. 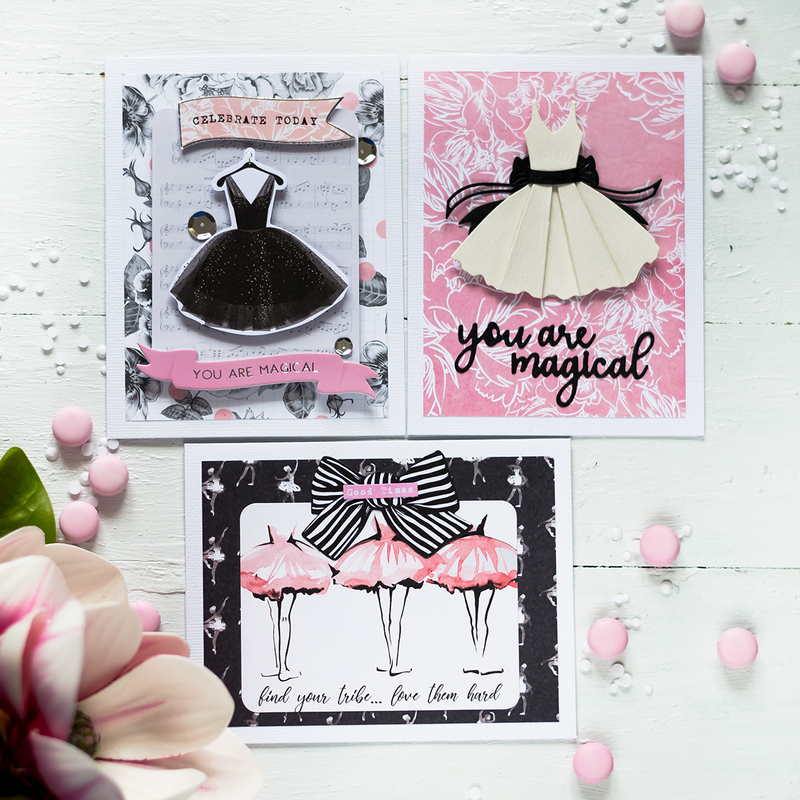 I don’t have much time for crafting and when I have I not only making cards. I also do PL from time to time, play with my planner and DIY home decor items (like now I’m working on some additions to 4th July decor). And I have my DT assignments. So barely taking out something from that box. Although constantly adding there something haha. So was very glad to get my hands on some new (or technically new) supplies. And here is the card I made. 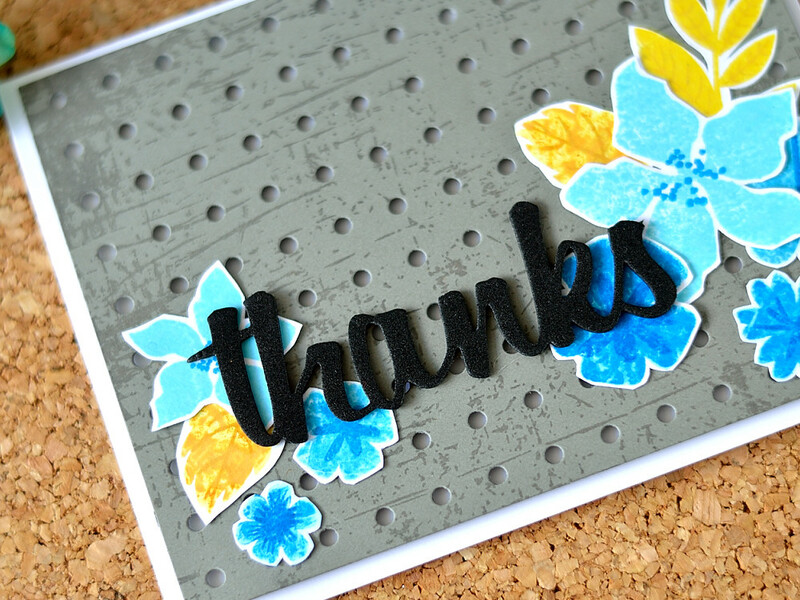 Since I bought this MFT Pegboard Cover Die I wanted to create a card “on contrast”. Contrast of some techie and brutal with bright flowers. But couldn’t find the flowers that would fit the idea (even though I have like hundreds of flowers). Until I got Modern Blooms and their mini version. To start off I first die-cut a panel out of Bazzill Rock Candy cardstock using this background die. To add more brutal look to it I stamped scratches using Scratches Background Stamp with SSS Cobblestone ink. 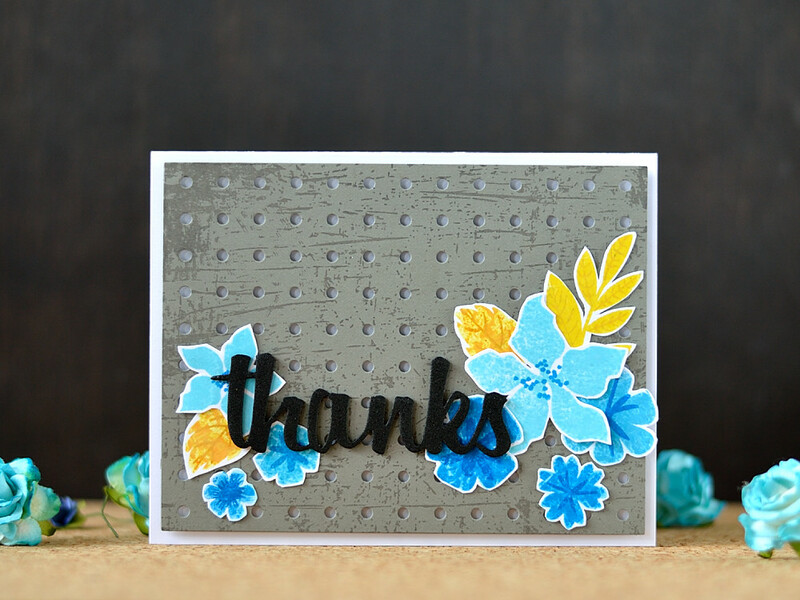 Next I stamped a bunch of flowers and leaves in bright colors. I wanted them not be stamped perfectly, but be a bit scratched as well. 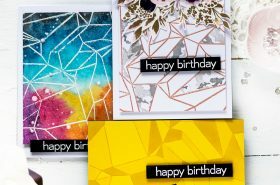 So I stamped them using stamp kissing technique. Then I cut all them out using my precision-cut scissors. 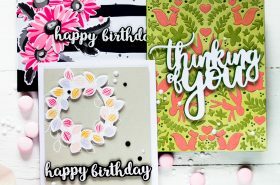 For the sentiment I made a thanks die-cut out of black sticky back foam (you can use some regular foam with a Stick-It adhesive sheet adhered to it). I like how foam die-cut looks on the card. Finally I assembled the card, adhering the flowers, leaves and the sentiment to the panel. Which I then adhered to a white card base using adhesive foam squares. Oh my goodness, I love this! 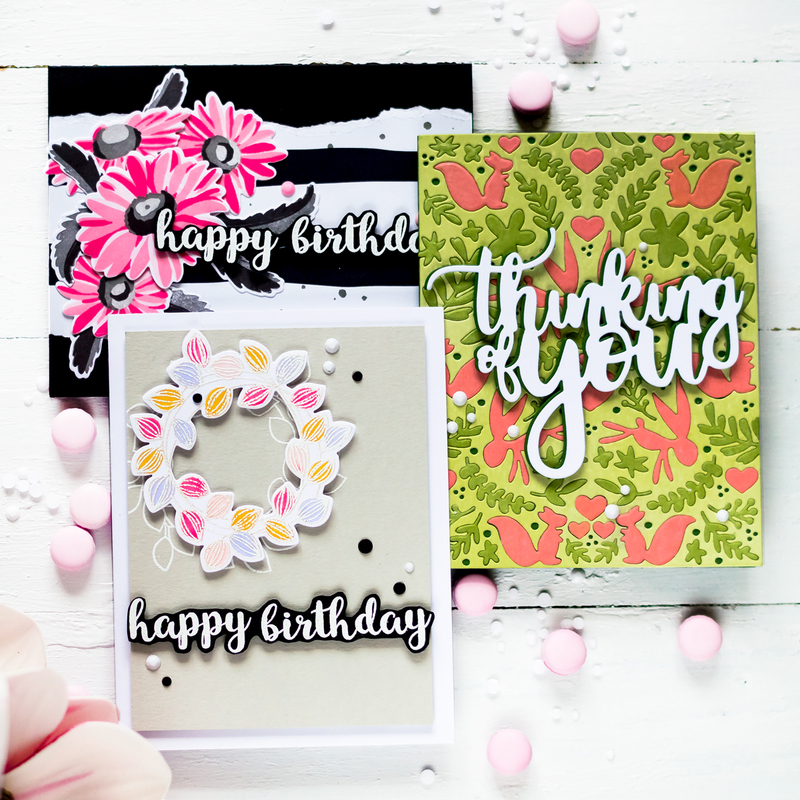 I love how you paired the two looks, the colors, flowers and sentiment. 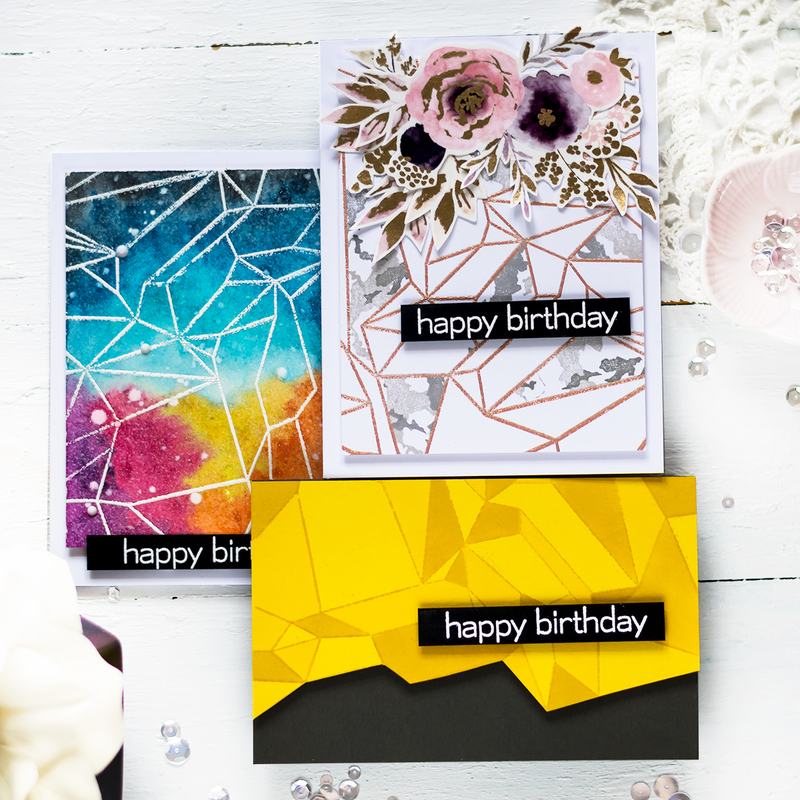 Love the colour combination you used. 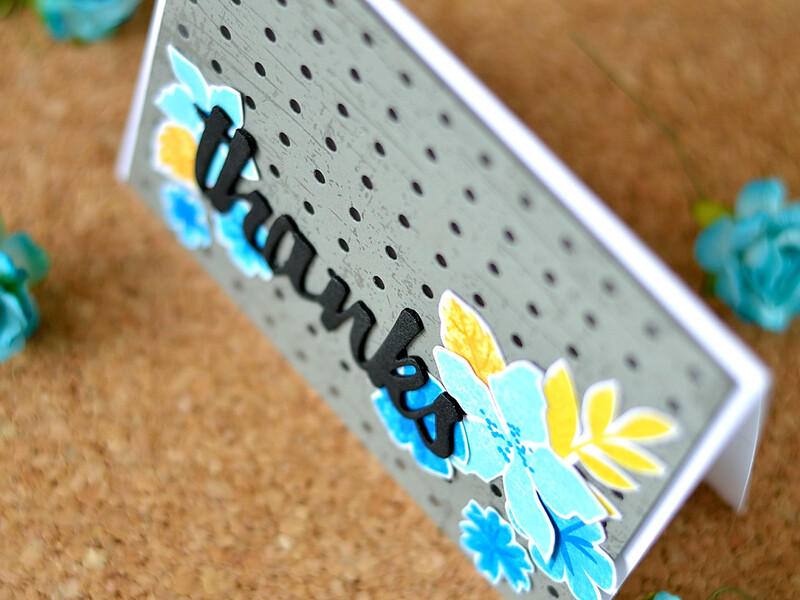 Also such a great use of the pegboard cover die. This looks amazing. Love the contrast of the peg board and the flowers.